Hey all you Hearts and Hammers supporters! Tune in to NewsTalk AM 770 and stop by as they broadcast live from the lobby of the Westin Hotel Calgary on Friday Dec 15, 2015 beginning at 6:00am until 6:30pm to help raise funds for the Calgary Children’s Foundation Pledge Day. 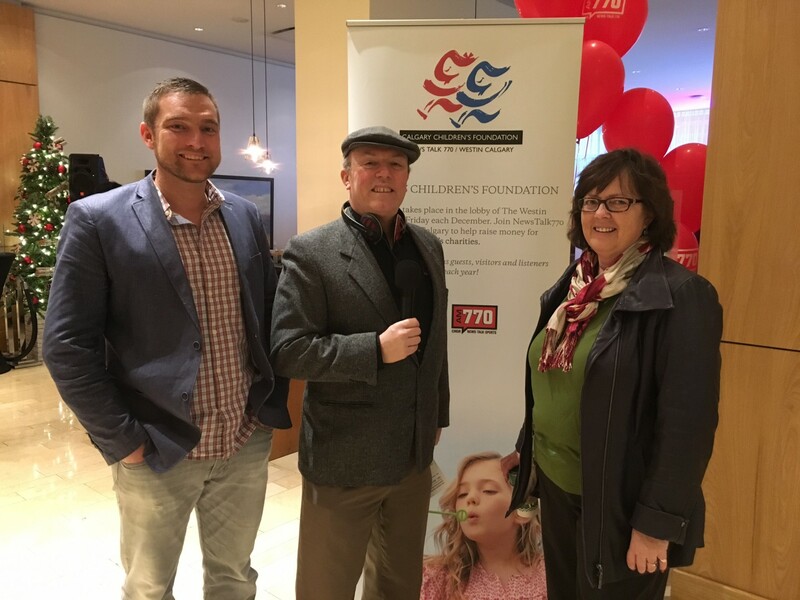 Not only that, but if you tune in or drop by the lobby of the Westin between 2:00pm and 3:00pm you will catch our Founder Dave Bonk and our Communications Director Cindy Eberth broadcasting live in support of the Calgary Children’s Foundation. This is an annual event hosted by The Westin Calgary in conjunction with AM 770 for the Calgary Children’s Foundation Pledge Day. The Calgary Children’s Foundation is an organization that supports a variety of local children’s charities with children who are physically, mentally and/or financially disadvantaged. They donate to mostly small, grass-roots groups who have limited dollars for fundraisers, communications, etc. They put the money directly into the hands of the people who are working to improve the lives of Calgary’s children. Hearts and Hammers was a grateful recipient this fall of a $3000 grant from the Calgary Children’s Foundation, which we applied towards the Nickolas project to help a 3 year old boy. Please support for this awesome local charity with a generous pledge. And don’t forget to drop by the lobby between 2:00 to 3:00pm to meet our very own celebrities – Dave and Cindy! Update: Pictured below is Dave and Cindy appearing with AM 770’s Mark Stephens after the interview segment. I am happy to report that things went great!